The Indian currency fell 47 paise against the dollar to 73.38 level intra day. The currency which closed at 72.91 on Monday opened on a weak note at 73.26 and fell further to 73.34 against the US dollar. The rupee plunged below the 73 level against the dollar for the first time ever in early trade amid rising global crude oil prices and strong demand for the American currency from the importers. The Indian currency fell 47 paise against the dollar to 73.38 level intra day. The currency which closed at 72.91 on Monday opened on a weak note at 73.26 and fell further to 73.34 against the US dollar. Investors remained concerned over sustained foreign capital outflows and soaring crude oil prices that crossed the $85 per barrel. 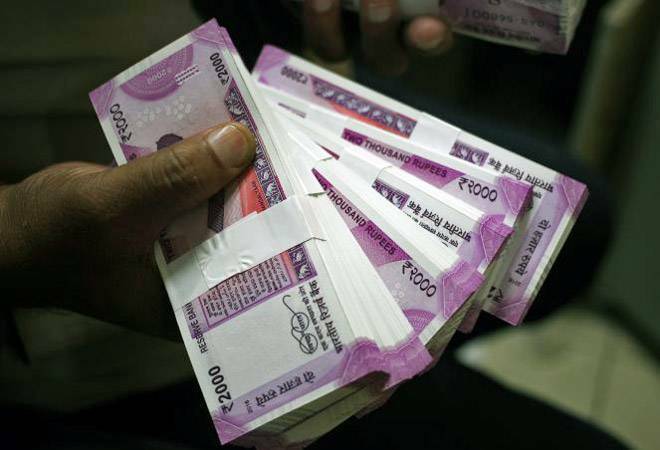 The rupee on Monday tumbled 43 paise to end at a two-week low of 72.91 against the US dollar on steady capital outflows. Forex dealers said besides strong demand for the American currency from importers, concerns of fears of rising fiscal deficit and capital outflows mainly weighed on the domestic currency. Forex market was closed on Tuesday on account of Gandhi Jayanti. Of late, the Indian currency has been falling on global and domestic cues. The rupee has fallen over 13% since the beginning of this year. Brent crude oil prices breached the $85 per barrel mark yesterday for the first time in four years on the back of tightening oil market and OPEC leaders signalling they won't be immediately raising the output. Currently, brent crude price was trading at $84.79 per barrel. India is 81 per cent dependent on imports to meet its oil needs and is the third-largest importer of crude after US and China. Since payment of crude oil prices is done in dollars, a higher crude rate leads to more amount of rupee being converted to dollar, thereby strengthening the US currency. Worse, forecasts see oil at $100 per barrel within an year. Oil prices could rise towards $100 per barrel by 2019 as US sanctions against Iran tighten markets, commodity merchants Trafigura and Mercuria said. This will be bad news for the Indian currency since high crude oil prices will lead to a rise in high current account deficit. In the January-March quarter, the trade shortfall stood at 1.9% of the GDP. A rise in the current account deficit leads to depreciation in the value of rupee since more quantity of local currency needs to be utilised for payment of higher imports. Meanwhile, Bank of America Merrill Lynch has widened its current account deficit (CAD) estimate by 0.20 per cent to 2.8 per cent of GDP for fiscal year 2018-19 citing high crude oil prices which the brokerage said can reach up to $95 by June 2019. Brokerages have become cautious setting lower targets for rupee due to deteriorating conditions for the currency at home and abroad. In fact, DBS Bank has forecasted that the currency will slide to as weak as 75 per dollar. UBS Securities India too cut its year-end forecast to 73 from 66, while Scotiabank saw the rupee nearing 74 in the run up to the Federal Reserve meeting. Meanwhile, the BSE benchmark Sensex dropped by 216 points, or 0.59 per cent, to 36,310 in opening trade today. The Nifty was trading 88 points lower to 10919.